Kirkway of Scio is a recent Ann Arbor neighborhood in a tranquil setting; the homes look sophisticated especially with the tree lined streets. There are currently 2 homes listed for sale and so far this year, 1 has sold. $469,900. 320 Sedgewood Ln., Ann Arbor. 2487 sq. 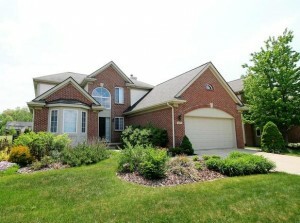 ft., + 1037 in finished lower level, 5 bedrooms and 3.1 baths. $389,900. 360 Sedgewood Ln., Ann Arbor. 2375 square feet with 4 bedrooms and 2.1 baths. $369,900. 388 Sedgewood Ln., Ann Arbor. 2377 square feet with 4 bedrooms and 2.1 baths. $466,600. 308 Sedgewood Ln., Ann Arbor. 2697 sq. ft., + 1100 in finished lower level, 6 bedrooms and 3.1 baths. Last year at Kirkway of Scio subdivision, 4 homes sold with an average sale price of $376,250 and an average price per square foot of $170.00. The 1 home sold this year have an ASP of $466,600, up a considerable 24%, and an A$/SF of $174.00, up slightly. To learn more about home values at Kirkway of Scio, contact the real estate experts with The Bouma Group at (734)761-3060 or email info@bouma.com. View more Ann Arbor neighborhoods here! There are currently 2 homes listed for sale at Kirkway of Scio and in 2016, 2 homes sold. $349,900. 380 Sedgewood Ln, Ann Arbor. 1628 square feet with 3 bedrooms and 2 baths. In 2015, 2 homes sold with an average sale price of $323,000 and an average price per square foot of $146. The 2 homes sold last year have an ASP of $336,000, up 4%, and an A$SF of $155, up 6%. The Bouma Group has sold many homes in Kirkway of Scio and know this Ann Arbor neighborhood very well. If you would like to learn more about real estate values, what your home may be worth, or the home buying process, give us a call at 734-761-3060 or email info@bouma.com today! 2357 square feet with 4 bedrooms, a study, and 2.1 baths. Ceramic tiled kitchen with eating space opens to the family room. Master bedroom suite has a private bath and walk-in closet. 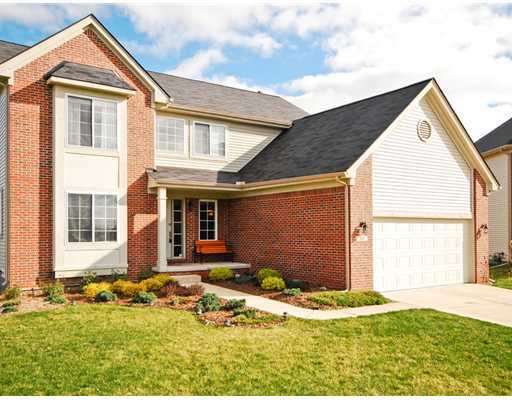 Schedule your private showing today for 6505 Wisteria Trace at 734-761-3060 or email info@bouma.com. Learn more about Kirkway of Scio subdivision here! 2003 square feet with 3 bedrooms, a loft/bonus room, and 2.1 baths. Vaulted great room features a fireplace flanked by large windows viewing the tree line and nature. Desirable first floor master bedroom suite has a second fireplace and private bath. To schedule a private showing for 376 Sedgewood, or to find out more about this home, contact the Ann Arbor Real Estate specialists with The Bouma Group at 734-761-3060 or email info@bouma.com today! 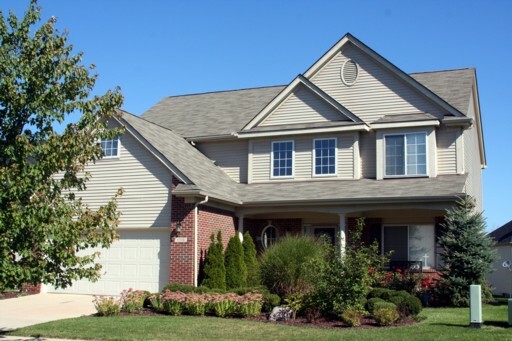 Kirkway of Scio is an upscale Ann Arbor subdivision on the far west side of town in a beautiful township setting. There are currently 0 homes listed for sale and in 2012, 2 homes sold. 6506 Wisteria Trace, Ann Arbor. $280,000. 2595 square feet with 4 bedrooms and 2.1 baths. In 2011, 2 homes sold with an average sale price of $261,750 and average price per square foot of $110.18. The 2 home that sold in 2012 had an ASP of $282,500, up 8%, and A$/SF of $121.84, up 11%. These are great signs of prices rising in this neighborhood as recovery of values continues. To learn more about home prices at Kirkway of Scio, contact the Ann Arbor Real Estate specialists with The Bouma Group today at 734-761-3060 or info@bouma.com. Thinking of listing your home, but not sure what it’s worth? Sign up for a FREE market snapshot here to get started! SOLD! Ann Arbor home in the Kirkway of Scio subdivision. For more information on 303 Sedgewood, give the Ann Arbor Real Estate experts at The Bouma Group a call at 734-761-3060 or info@bouma.com today! Kirkway of Scio, Ann Arbor is a subdivision of newer homes located on the far west side of town in Scio Township. Homeowners love the spacious homes and country feel. There is currently 1 home listed for sale, 1 listed for rent and so far this year, 1 home has sold and 2 have been rented. $2000/month. 2332 square feet with 4 bedrooms and 2.1 baths.